Because we wanted to. Don’t be boring. At the time, Soylent was just starting to enter the Silicon Valley zeitgeist as a thing you might conceivably do to avoid doing that waste of time mortals call eating. 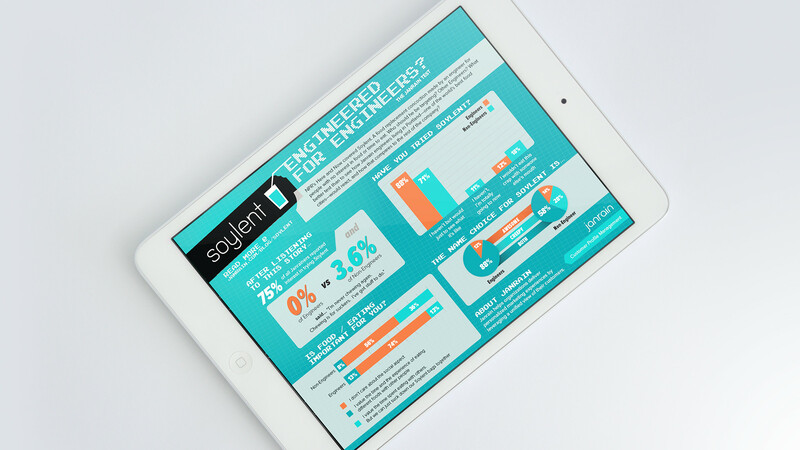 As an awareness piece, Janrain employees were polled on their experience or position on Soylent meal replacement. 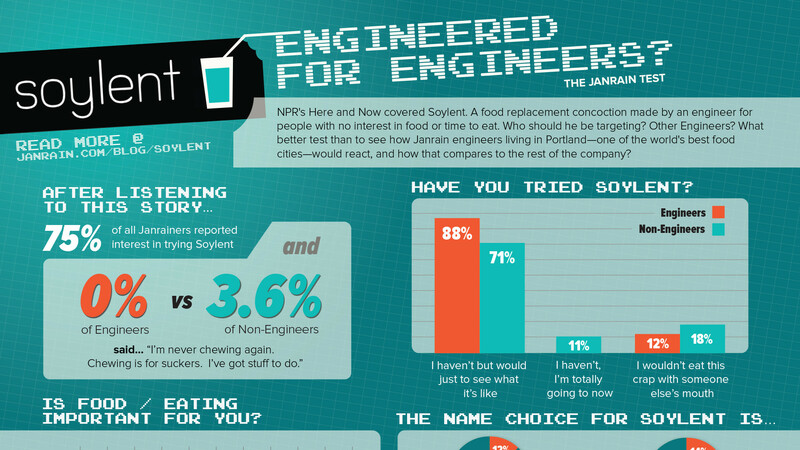 The results were mildly surprising: engineers were less enthusiastic than other departments, perhaps due to their short proximity to delicious Portland food carts.